Fabulously modern and impressively spacious, 159 Oakhill Grange is a property which doesn’t come up often. 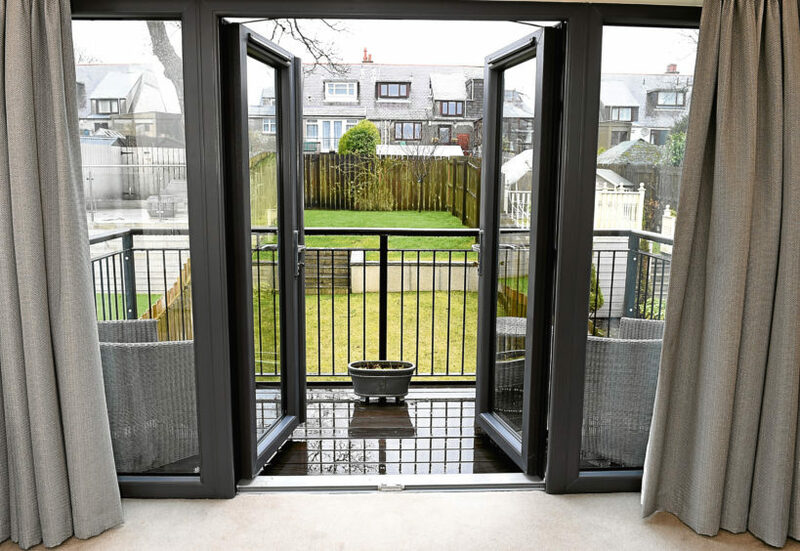 Located in the highly sought-after west end of Aberdeen, the house spans three floors and offers a luxury standard of living in a prestigious new development. Yet for its owner Linda Masson, 55, moving into in a brand new property was an entirely unfamiliar experience. Originally from Glasgow, Linda relocated to Aberdeen 34 years ago to work in the oil and gas sector, but had always lived in characterful, period properties. 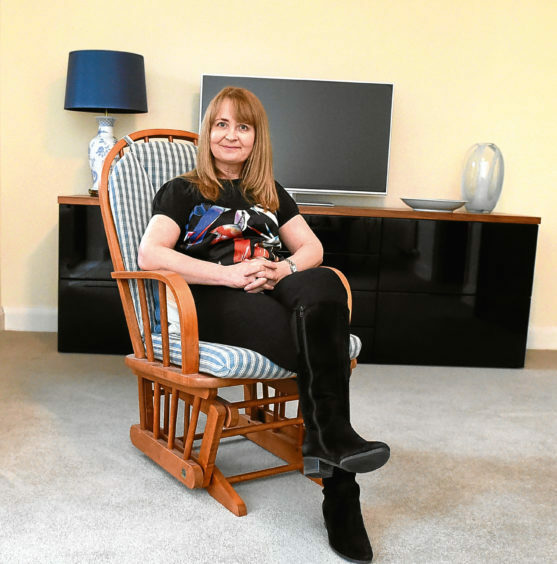 “The first house I bought was on Albert Street in Aberdeen when I was 21,” she said. “It was nerve-wracking as I was quite young and buying a house was a big deal. “From there I lived in various places and ended up in Cults. 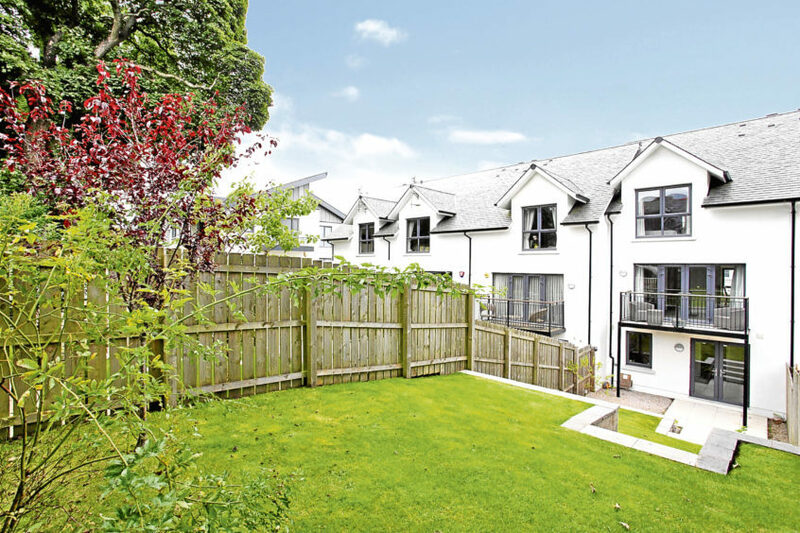 “But a few years ago I was looking to downsize as well as be closer to the centre of town, which is how I ended up looking at Oakhill Grange. “I just loved the location, and initially was looking at the flats in the development. “But then I realised that with the townhouse there was slightly more room and a private garden which really swung it. Linda, who is a project manager at BP, purchased the property in 2013, and has kept it in immaculate condition since. Throughout the property there are wonderful luxurious touches, including the unusual fact that it has more bathrooms than bedrooms. “There are three bedrooms and four bathrooms,” laughed Linda. “Some people might think it’s too much but it’s just great when guests are round as you don’t have to be under each other’s feet all the time. But with her children Fraser, 25, and Sarah, 21, now flown the nest, Linda is ready to downsize once again, this time in a new city. “I’m hoping to move to Edinburgh to be closer to my daughter,” she said. “It’s sad to leave as the house has such a nice relaxed feel to it and the kids spent a big chunk of their teenage years here. It’s easy to see why Linda has mixed feelings about leaving Number 159, as the wonderful sense of space and abundant natural light won’t be easy to find elsewhere. This feeling of space begins the moment you step in the door. 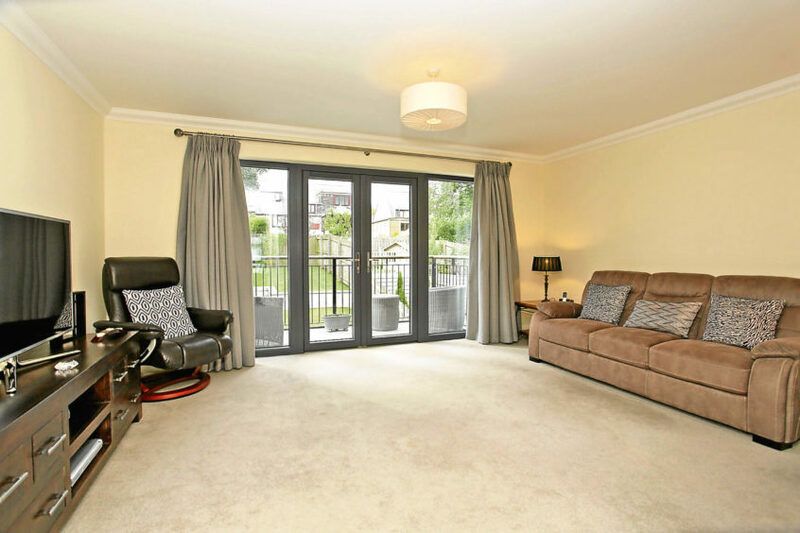 The modern entrance hall leads to a spacious garden room with patio doors out to the rear lawn. 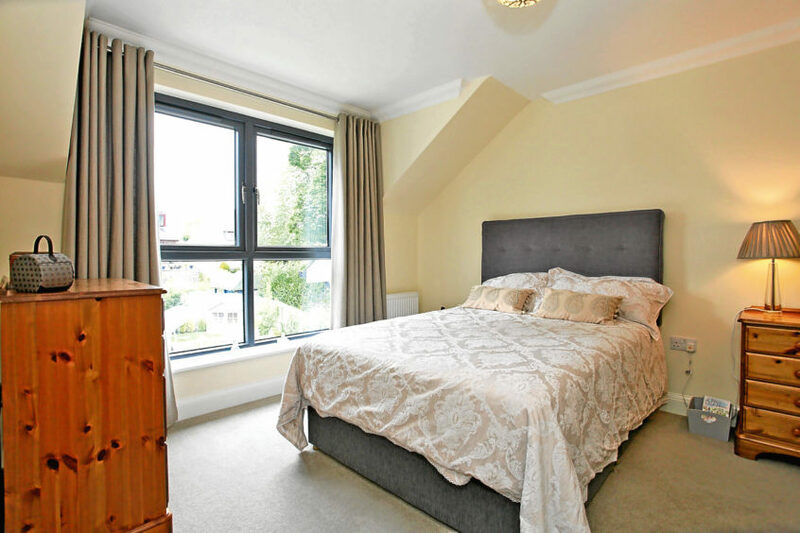 The room is bright and airy, perfect for putting your feet up on a sunny afternoon. Bathroom number one can also be found here, meaning that the room can be easily used as guest accommodation for family and friends. A versatile utility room and access to a large garage complete this floor of the townhouse. The wide staircase with its chunky bannister leads to a fabulous high-ceiling gallery landing. The semi open-plan kitchen, lounge and dining area make up this entire floor, meaning there is no shortage of space on offer. In the lounge decor is neutral, allowing for the focus to be on the fabulous private balcony. “I love sitting out on the balcony on a sunny day,” said Linda. “The layout of this floor is exactly what I like. 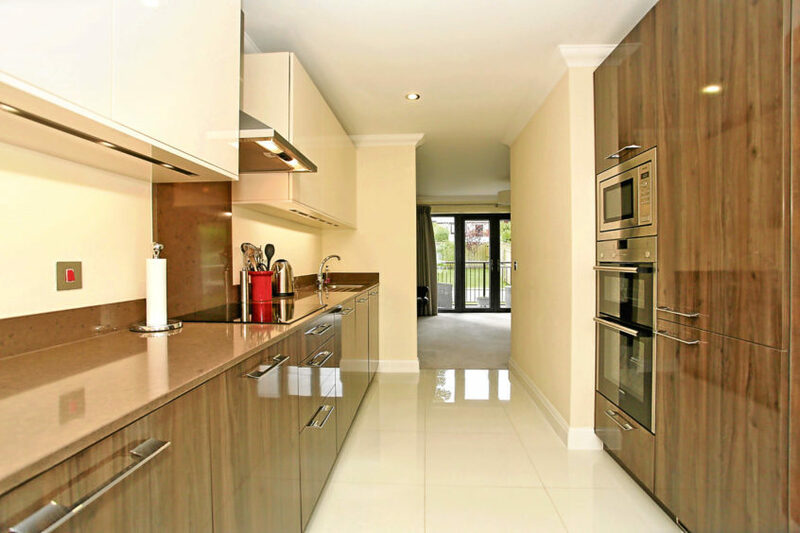 The kitchen itself is fitted with glossy modern units in a mix of wooden and cream finishes. Ample worktop space and plenty of appliances mean that getting dinner on the table won’t be a chore. And when the time comes to sit down and enjoy the meal you’ve prepared, there is a generous dining area on offer. Bathroom number two is also on this level. On the second floor there are three good sized bedrooms including the master suite which comes complete with walk-in storage and shower room. The final bathroom is also on this floor and has been completed to a high standard. Outside, the property has a private garden which is arranged over a split level. It is laid to lawn and is virtually a blank canvas for any keen gardeners. 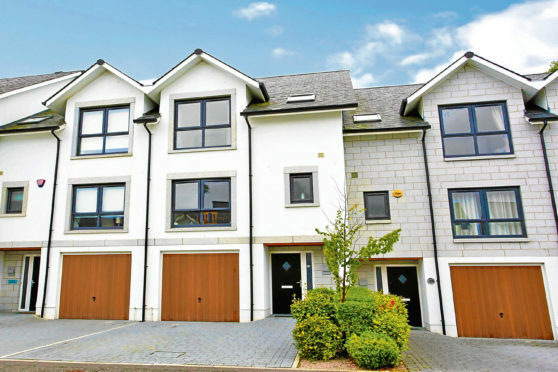 The location of the property is what Linda has loved the most, and the development has been one of the most exclusive in Aberdeen in recent years. “It’s such a quiet neighbourhood you’d never think that you’re just a half an hour walk into town and about two minutes from Anderson drive,” she said. Offers should be made in the region of more than £460,000.